Before you learn to swim freestyle fast it is important to work on your swimming technique. The problam in masters swimming and sprints is, that sometimes it’s very dangerous for the shoulder, neck & lower back. So how should we improve our speed in 100 m freestyle or breaststroke without hearting our body? 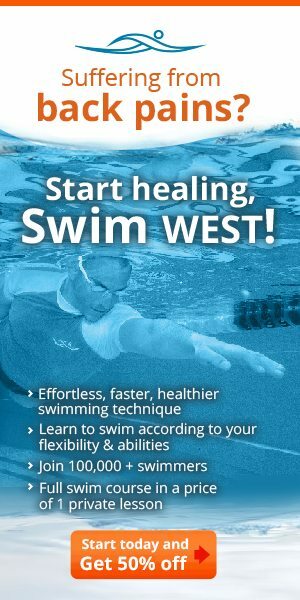 In this West swimming masters program we will improve our speed and all the time we will work on elongating our mucles and loosening our muscles on the way. 1 300 freestyle, every 4th lap different style. 200 kicking hands in arrow. A- all out , in all the 25 m.
50 slow and again different stroke. 50 allout+ 150 slow in the allout look at your time.